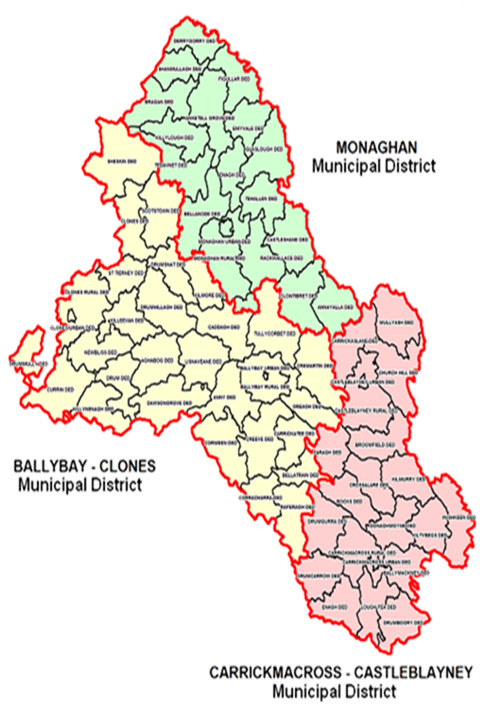 There are three Municipal Districts in Co. Monaghan, as per the map below. When a group registers with the PPN, it is asked to select the Municipal District to which it belongs. You should select the one in which your group has its postal address. Think of the Municipal District PPN as a sub-set of the County PPN. That’s all there is to it really. 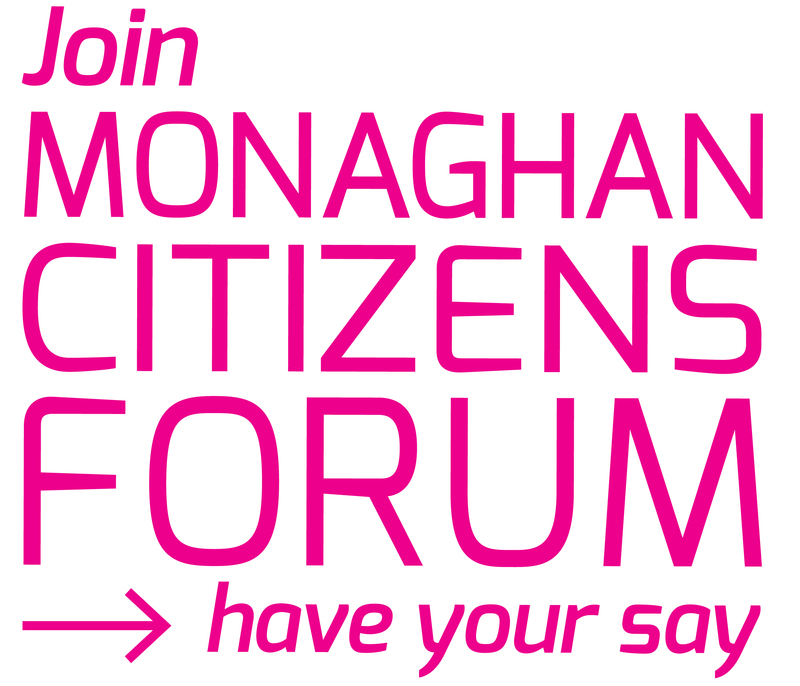 The MD PPN meets if an issue is of particular relevance to that MD. If it’s a county-wide issue, it will be dealt with by the County PPN. Mostly, the Municipal PPNs’ concerns will be identical to that of the County PPN. Where the MD might come more into play will be around ensuring there is a good geographic spread of people involved in the various PPN activities, and on the PPN Secretariat. In all likelihood, the majority of meetings will be County PPN-led, with perhaps a short breakaway element for the MD’s if required on a particular issue.